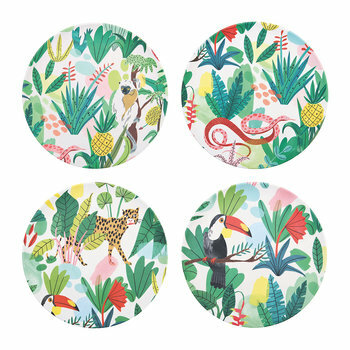 From the brilliant blues of the Bahamas to the lush greens of the Brazilian rainforests, the tropics are renowned for their rich, vibrant colours that lend themselves well to a wide range of interiors. 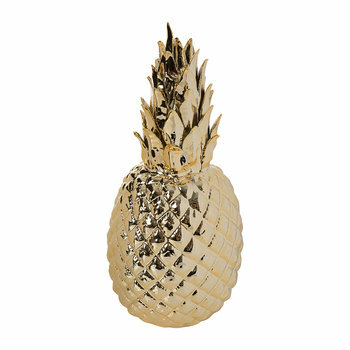 When introducing the look into your home, be brave and choose the boldest colours you are comfortable with. 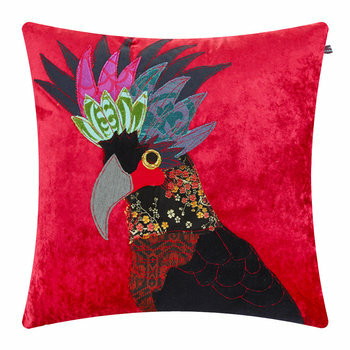 The citrus bright hues of orange and yellow marry perfectly with fresh greens and turquoises, and when pinks and reds are introduced into the scheme it creates a carnival of colour throughout your living space. 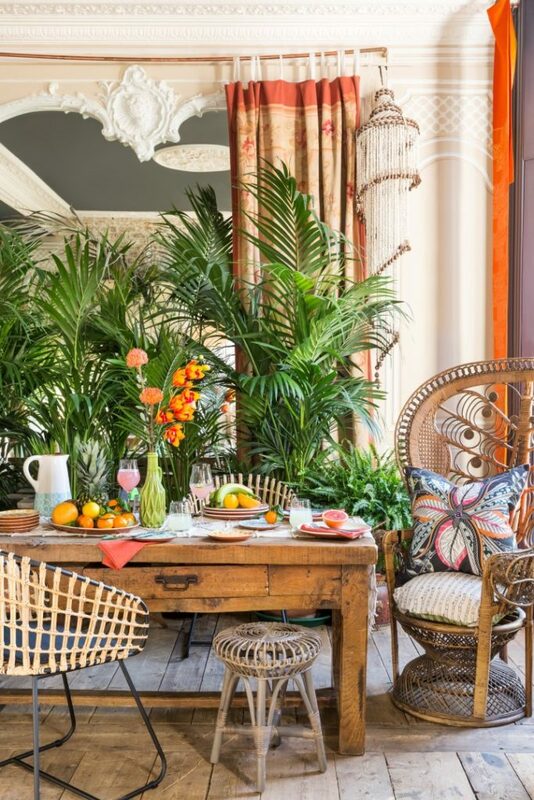 To achieve the look without any long-term commitment, look to beautiful soft furnishings in the tropical colour scheme as well as candles, ornaments, tableware and vases. 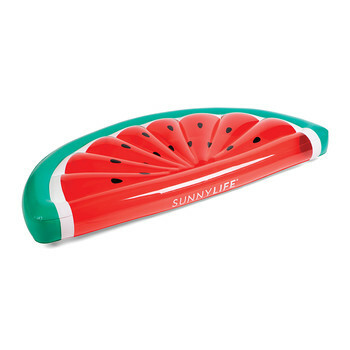 Introducing these bold pops of colour gives a subtle nod to the trend without overpowering the overall interior look. 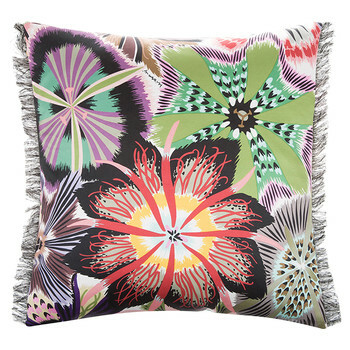 From the bedroom to the living area, introduce bold patterns into your scheme to recreate the vibrancy of the tropics. 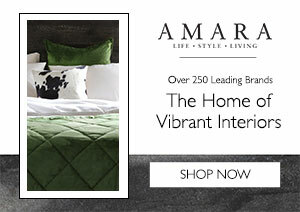 Keep it classic with soft furnishings featuring palm prints and exotic florals or for a fresh twist on the scheme juxtapose monochrome chevron stripes with colourful motifs such as trees, birds and feathers. 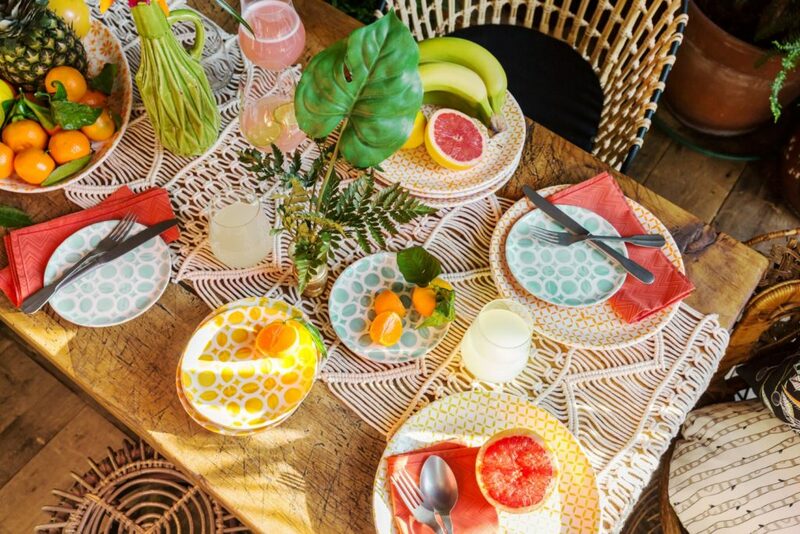 Bright patterns across tableware have the ability to transform a simple wooden dining table, and when fresh fruit centrepieces and coloured glassware are introduced it creates something truly special. 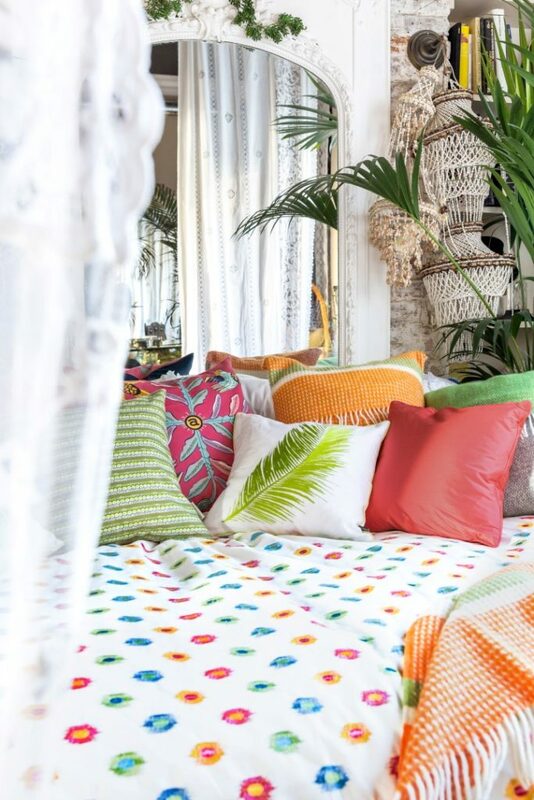 In the bedroom, a tropical-patterned bed linen set breathes new life into an existing scheme whilst colourful patterned towelling can uplift a bathroom in an instant. 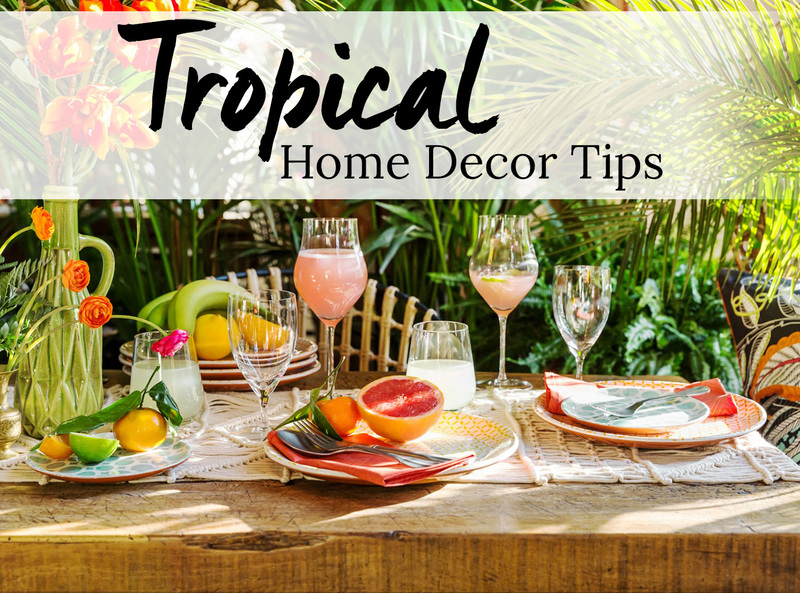 However you decide to introduce patterns in your tropical home, be bold in your choices. 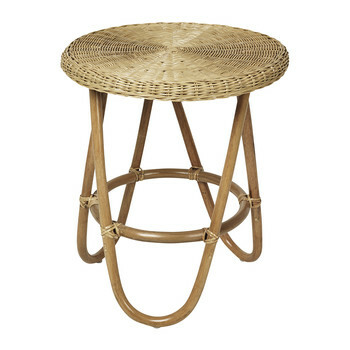 Complement the vibrant colours and brave patterns of your tropical scheme with furniture and accessories made from natural materials. 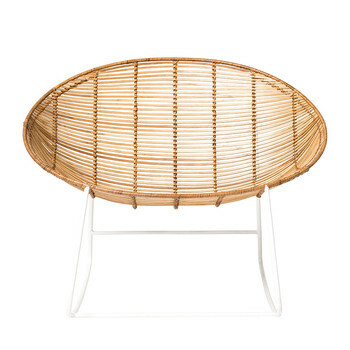 Wicker, bamboo, rattan and teak bring laid-back vibes to your home and are simple enough to offset the striking designs of your chosen soft furnishings. 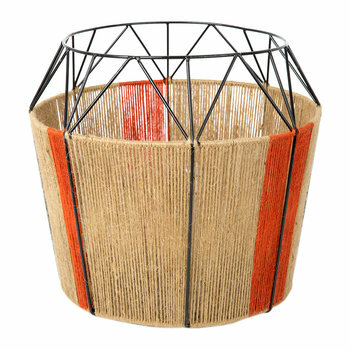 If you’re not looking to change your furniture configuration, you can incorporate these must-have materials in other ways such as bamboo placemats, rattan lampshades and this year’s must-have accessory; woven baskets. 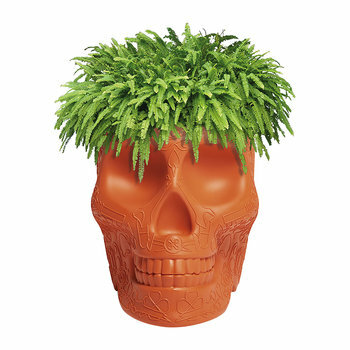 Create your own indoor jungle with a variety of potted tropical plants. 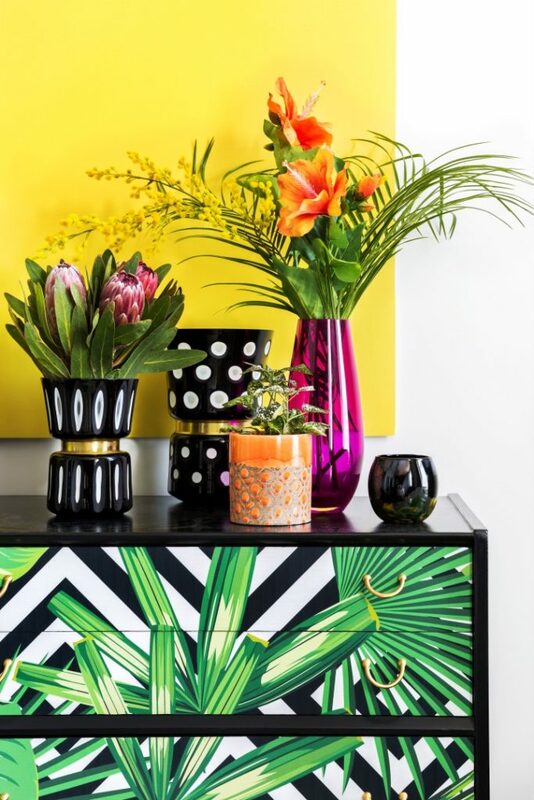 From popular Philodendrons to the glossy-leafed ZZ plant, these lush green stems are easy to grow indoors and require minimal maintenance making them perfect for the first-time plant owner. 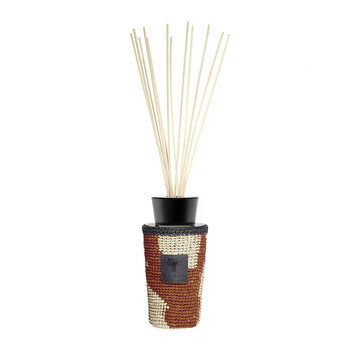 Described as a natural air freshener for your home, not only do these beautiful botanicals add the finishing touch to your tropical scheme, they are known to reduce stress and lower certain pollutants – perfect for creating the calming tropical environment you want to achieve. 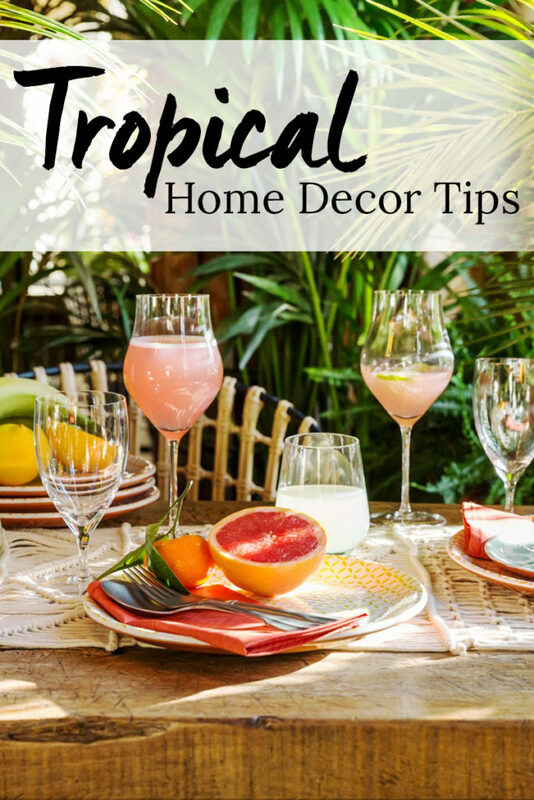 The tropical home decor trend works best in rooms that have lots of natural light, so it’s the perfect scheme if you’re looking to update your patio or outdoor area. 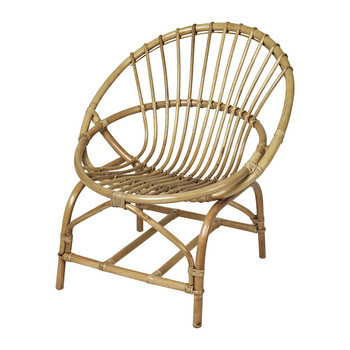 Take the look from the home to the garden with furniture made from the same natural materials that you’ve chosen for the interior, teak, wicker, bamboo or rattan complement the scheme best. 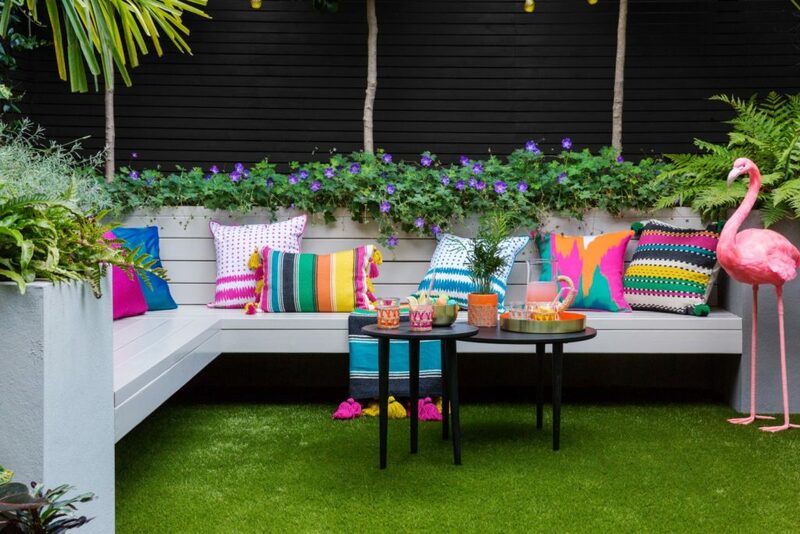 For a touch of comfort without compromising on style, scatter cushions throughout the area, the brighter the better, and finish the look with an abundance of greenery whether in the form of potted plants, hanging baskets or trees. 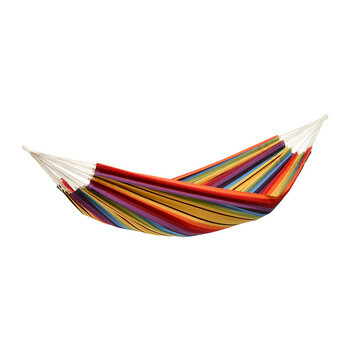 To truly recreate the laid-back vibes of a tropical holiday, create your own personal area to relax with a breezy shaded area, tropical-inspired hammock, scatter cushions and a side table to keep your essentials to hand.